Rob was most recently the interim rector of St. Thomas Episcopal Church in Sunnyvale, California, where he led all aspects of Parish Life. During his tenure he has helped grow St. Thomas’ membership and pledge units, including young adults and families. At prior parishes, he has created and led a parish men’s retreat and a diocesan retreat. Prior to his current position, the Rev. 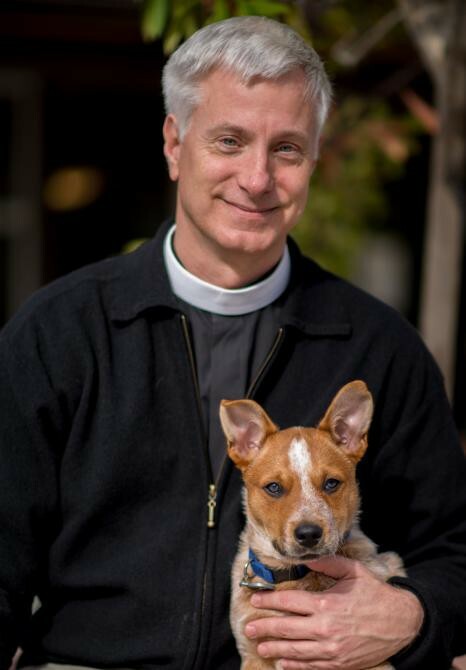 Keim has served as Associate Priest at Calvary Episcopal Church in Santa Cruz and at St. Mark’s Episcopal Church in Palo Alto. Before being ordained, the Rev. Keim worked in two high-level finance positions. From 1997 to 2003, he worked as Finance Director, PC Sales, for Hewlett Packard, where he led the finance side of a $5 billion PC sales business, and managed a team of 30 people. He also worked for five years as Controller, Finance Talent, for Cisco Systems, where he led efforts to improve the career planning and development for the 2600 people in Cisco Finance including university recruiting, rotation programs, mentoring circles, leadership development, and manager development. The Rev. Keim has a stellar academic pedigree. He graduated from Northwestern University in 1986 with a B.A. in Economics and Computer Studies. He earned a MBA in 1991 from the Fuqua School of Business at Duke University. He received a Master of Divinity degree in 2007 from Fuller Theological Seminary and a Certificate in Anglican Studies in 2008 from the Church Divinity School of the Pacific. He was ordained to the diaconate in June 2009 and to the priesthood in December 2009, both in the Diocese of California. The Rev. Keim is married to Jeff Diehl, who is the Principal and CFO at Albion Environmental, Inc. (an environmental consulting firm with offices in Santa Cruz and San Luis Obispo). Jeff has served on the Diocesan Communications Commission, serves as diocesan consultant for rector search committees, and is a deputy to the General Convention representing the Diocese of El Camino Real. In 2007, Jeff co-chaired the bishop search committee that resulted in the election of Bishop Mary Gray-Reeves. Bishop Mary describes Jeff as “one of the top lay leaders in the diocese.” The Rev. Keim also has an adult daughter who lives in Bellevue, Washington. Deacon Susan thinks of herself as a native to San Luis Obispo County though she was born in Riverside, California and spent her first 12 years of life there. She has lived in all parts of San Luis Obispo County starting with 17 years in Grover Beach where she completed 7th-8th grades at Judkins Middle School and 9th-12th grades at Arroyo Grande High School. The next 18+ years were spent living in the North County where her daughter and son were born. Shortly after her daughter’s graduation from high school she moved to Morro Bay where she lives with her husband, Jim Arnold. The Rev. Arnold worked as a nursing assistant in a long term care facility until a position at The Tribune Newspaper (then called the Telegram Tribune) as a phone clerk took her on a journey lasting nearly 28 years in the Circulation Department. There she became adept at multi-tasking while learning everything office; from old time IBM Selectric typewriting and ten key adding machines to modern computer data entry and processing; from a two line push button phone system with no messaging to modern computerized phone services. Learning to operate these tools efficiently was imperative as the focus in the Circulation Department is the customer/subscriber. Because of her ability to manage customers and systems, the Rev. Arnold became the go-to person and was the key trainer of the out-of-country representatives when the company outsourced. The Rev. Arnold was baptized in a Methodist church but never settled down to any particular denomination until her then boyfriend, who was born into the Episcopal Church, asked her to go to church with him. She came to realize that this was the church home for which she had been yearning. Though she enjoyed her work, the call to ordained ministry was too strong to ignore so she retired from The Tribune in 2012. After 3 years of study, Rev. Arnold graduated from the School for Deacons in Berkeley and was ordained a Vocational Deacon on June 6, 2015 at Trinity Cathedral, San Jose. Born in Detroit, Michigan on July 9, 1938, the Reverend Bond grew up outside the village of Yorktown Heights some forty miles north of New York City. He finished high school in 1955, Kenyon College in 1959, and the General Theological Seminary in May 1962. Ordained deacon and priest that year, he was assigned by the bishop of New York to the Cathedral Church of St. John the Divine as an Assistant Minister. From there he moved on to a similar position at St. Stephen’s Cathedral in Harrisburg, Pennsylvania, in the spring of 1964. He then served as Rector of St. Paul’s, Harrisburg, from the spring of 1968 to the spring of 1979 when he and his family moved an hour north. There he became Rector of St. Matthew’s in Sunbury, Pennsylvania, a position he held until retirement. The Reverend Bond also served as Vicar of St. Mark’s, Northumberland, from January 1989 to retirement. He married Kathy in September 1962. They now enjoy three grown children and four grandchildren. He retired August 1, 2003, andthey moved from Sunbury to Grover Beach in June 2004 and quickly got involved with St. Barnabas..
Born and raised in Torrance California, Sandy has been an Episcopalian her entire life. She was baptized, confirmed, and married at St. Cross Episcopal Church in Hermosa Beach, California. She received her Bachelor’s degree in Child Development and a Special Education Credential from Cal State University Northridge. Sandy has worked in special education classrooms, as a private tutor, personal aide for disabled youth and really enjoyed her time doing senior care. Sandy married her high school sweetheart Mark on August 2, 1980. They moved to Arroyo Grande, California, in 1985, the year after their first daughter Emily was born. Four years later their second daughter Elyse arrived. Sandy enjoys volunteering at the Saint Barnabas Thrift Shop Friday mornings and competing in running 10k and half marathon races. December 2010. She holds both the Service Playing Certificate and Colleague Certificate from the American Guild of Organists. Previous to coming to St. Barnabas she served for many years as Organist/Choir Director at St. Peter’s by-the-Sea Episcopal Church in Morro Bay; Organist at St. John’s Lutheran in Arroyo Grande; Organist at Mt. Carmel Lutheran in San Luis Obispo. 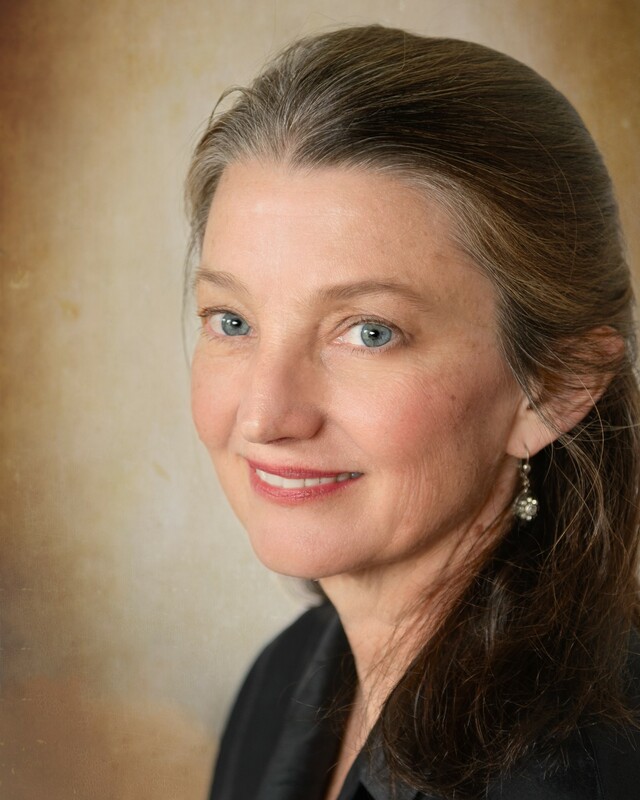 She is the accompanist for Canzona, a women’s chamber choir ensemble based in San Luis Obispo. Over the years she has served as an accompanist for Pacific Repertory Opera, Cal Poly choirs, Cuesta choirs, and many instrumentalists. She also maintains a private piano studio of about 30 students in Morro Bay.